Lowering prices, GM seeks to attract those buyers who still do not feel confident of riding an electric car. General Motors will reduce 12.5% the sales price of the Chevrolet Volt to attempt to better compete with electric vehicles rivals. The automaker said that the 2014 Volt will have a base price of 34,995 U.S. dollars, including shipping, $5,000 less than the current model. It is expected that the new version reaches to the showrooms in late summer. GM and other auto makers have been forced to reduce the price of electric cars or offering discounted rents in order to speed up their movement from dealership lots. The relative stability of gas prices, more fuel efficient engine and a growing competition, have lowered the prices of electric cars. GM reported that including a federal tax credit of $7,500 given by the U.S government, the Volt could cost around $27,495 only. 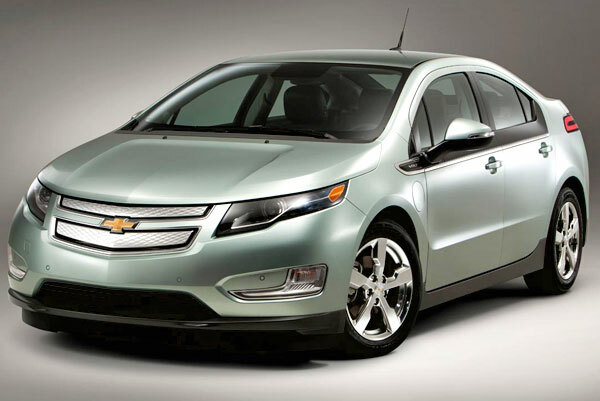 Until last July, Chevrolet had sold a total of 11,643 Volts, 9.2% more than the same period a year ago. On the other hand, its main rival, the Nissan Leaf electric has tripled its sales to 11,703 units after the company removed some functions and lowered the base price to $ 29,650, including shipping. The Chevy Volt can travel up to 38 miles on a battery charge, and then the small electric motor turns on to propel it until the vehicle can be recharged. GM said they reduced costs because the company has gained experience in manufacturing electric cars and their parts, everything while they are also adding features and increasing the performance of the vehicle's battery. Read more about this story at The Detroit News or the Detroit Free Press. I think American people is still afraid and don't trust in electric cars, furthermore, even with this rebate, it remains to be an expensive vehicle, and there is a trend right now that no one wants to get into debt with "comfortable" monthly fees. Even so, the Volt is a nice and well designed car. When automakers achieve to build these type of cars and sell them for less than $25000, that is going to change the history. There is a guy who wrote an article about the Volt, where he says he drove this car about 1,300 miles without filling the gas tank if this isn't enough reason for you to think, that these type of vehicles totally worth the money, what else you want then. One of the negative things this guy says about the Volt, is that the battery doesn't last too much during cold weather, as long as they last in hot weathers. If you to want to read the article, follow the link. Even so it is still very expensive, with that amount, I would buy a new Mercedes-Benz, besides I have never seen the first public charge station, the country lacks of them.